The Belgian band dEUS doesn't need much introduction. For years they have been the proud flagship of the Belgian music scene. With their first couple of albums they immediately delivered some master pieces. The daring songs with a lot of experiments, left a big impression. Live they even got more impressive with lots of room for new interpretations and improvisation. The big disadvantage is that after that every new record will be compared to those classics, and they don't get the credit they deserve. It won't be any different with the latest Keep You Close. It sounds like a luxury to be able to look back to the milestones in the musical land scape that you put there yourself. But the band around Tom Barman will probably disagree. 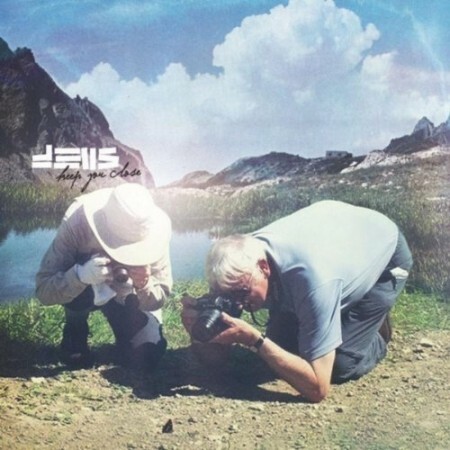 They have moved ahead many years and dEUS is a different band than say fifteen years ago. The current line-up has been together since 2005 and the band acts as a whole. Both on stage and in the studio. And that is clear on the new album, which turned into a real band album. The band never sounded more solid. The new songs got a bit bigger and more full. They are all proper rock songs. But not just any rock song. Beneath the overwhelming exterior there's unmistakably still dEUS' beating heart. Many songs start with a great groove. For this bass player Alan Gevaert and drummer Stéphane Misseghers deserve many kudos. With a rhythm section like that everything is solid as a rock. "Mr. dEUS" Tom Barman and guitar player Mauro Pawlowski can comfortably build on top of that and Klaas Janzoons can fill in the rest. And so Keep You Close turned into a great album with something to anyone's liking. Modest ('The End Of Romance') or full force ('Ghost'). Guitar power ('Dark Sets In') or more electronic ('Constant Now'). There aren't any songs that stand out, simply because all songs are of the same high level. This album doesn't need to be compared to any of its illustrious predecessors, since it can be valued in itself. dEUS remains a world class top band. And with the extensive club show tour coming up we can see for ourselves. So go check them out!